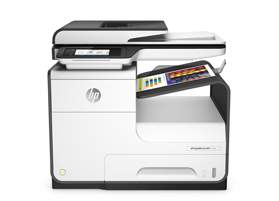 HP is reinventing printing for every business — large or small. Whether you own a business, run an office, manage IT, or lead procurement, HP delivers the printers and supplies you need. Affordable, professional color — big performance in a compact package for small business. Professional color, best-in-class cost of ownership1, fastest speeds2, plus best energy efficiency3. Leading laser performance, print-shop quality color documents, and a good value for black-only printing. 1TCO based on 90,000 pages for PageWide Pro and 150,000 pages for PageWide Enterprise; mfrs' published specs for page yields and energy use; MSRP for hardware and supplies; and CPP based on ISO yield with continuous printing in default mode with highest-capacity cartridges. 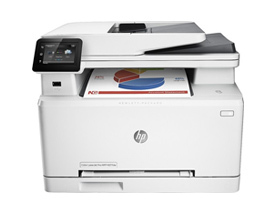 Comparisons are to Pro-class color business printers and MFPs $300–$1,000 as of 9/2015 and Enterprise-class color business A4 MFPs $500–$3,000 as of 11/2015, excluding products with 1% or lower market share. More at hp.com/go/learnaboutsupplies and hp.com/go/PageWideClaims. 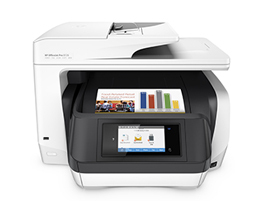 2Speed based on mfrs' published specifications of fastest available color mode of Pro-class color business printers and MFPs, $300–$1,000 as of 9/2015 and Enterprise-class color business printers and MFPs $500–$3,000 as of 11/2015, excluding products with 1% or lower market share. More at hp.com/go/PageWideclaims and hp.com/go/printerspeeds. 3Energy efficiency based on TEC data reported on energystar.gov. TEC data normalized to determine energy efficiency of majority of in-class Pro-class color business printers and MFPs $300–$1,000 as of 9/2015 and Enterprise-class color business printers and MFPs $500–$3,000 as of 11/2015, excluding products with 1% or lower market share. More at hpcom/go/PageWideClaims.